When hearing the word “spy,” we usually think of a man with perfect hair in a black suit equipped with sophisticated gadgets and a gorgeous woman beside him, both of them trying to track down an enemy. In business, “spying” means knowing the strengths and weaknesses of your competitor. This will help you with your business goals and allow you to plan out your next move. Since we are currently in the era of technology where almost everyone in business uses the internet for marketing, spying doesn’t necessarily mean having to hire someone to physically follow your competitor around. Here are some of the best online tools for spying on your competitors. SEMrush lets you track the keyword position of your competitor in any search engine based on their geographical location. It also helps you to discover all keywords your competitor is currently ranking for on any given page. It can also find the keywords that are driving most of your competitor’s traffic. SEMrush is an all around great tool. Their pricing starts from $99.95/month and goes up to $399.95/month depending on what features you want. Read the SML review here and a detailed guide on how to use SEMrush here. Nacho analytics is a hidden gem which let you access your competitors website Google analytics account. It’s not illegal and they use the technology to create a solid replica of a competitors website analytics account. They rely on data from various browser addons to create such data. A lot of marketers swear by it and this is perhaps the best place to find details about competitors website traffic. You can also find details about competitors funnels and e-commerce data. Are you aware of what your competitors are up to? Adbeat is a vital paid advertising tool which gives you access to data that provides you insight when strategizing your next business plan. Adbeat uses their Spider, Crawler, and Collector to crawl and pull data from over 100 thousand websites and publishers on a daily basis. Each publisher is visited multiple times every day by the Adbeat Crawler. This means that the data you receive is correct within twenty-four hours. Surprisingly, it can help you to dig up some competitors you never knew existed. 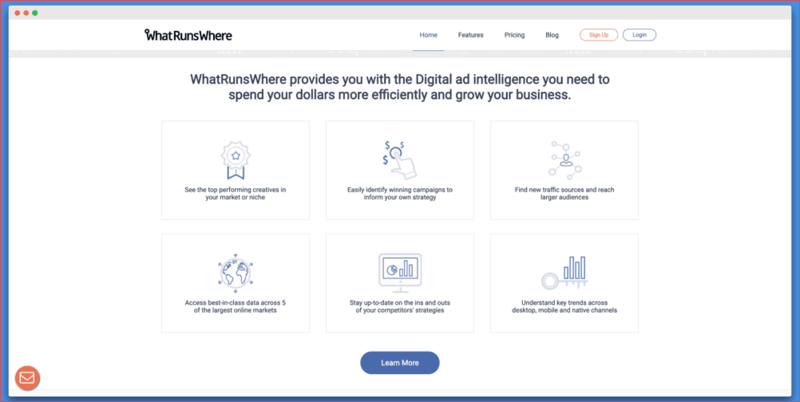 WhatRunsWhere is a tool that provides smart service for online media buying. Its purpose is to help online and mobile advertisers to be more competitive in their campaigns through intelligent/smart media buying, the discovery of new sources of traffic, and monitoring the competition. It also helps users put data behind decision making for more clever advertising tactics and maximum returns on investments. Founded in 2011 by Michael Cojanu, WhatRunsWhere accesses data from 120,000 sites from 7 different countries. It can help you improve your campaigns by finding traffic sources and letting you know where your competitor is advertising. It has a $1 trial for 30 days with a regular price of $299/month after that. MixRank is a superb platform that helps you look into the display and contextual ad campaigns of sites that are monetized with the Google AdSense program. You will agree with me that not many spy tools on the internet can do that. Discovering successful advertising on the Google AdSense network can give you all sorts of insights on how to make your website more profitable. Not only can MixRank help you uncover successful AdSense ad campaigns, you can also select AdSense publisher sites and utilize competitive research data from those sites to help with your SEO campaign. Watch ad trends to target your competition’s most profitable campaigns and combinations of ads. Swipe your competitor’s ad copy. Find the domain names your competitor’s ads are served on. It gives you valuable information and helps your marketing team know your future customers with its fully customizable filters. It lets you know what ads other companies are using so you can outsmart them at their own game. MixRank’s pricing starts at $500/month. Ontolo’s major focus is on content marketing; however, it’s also seen as a useful backlink tool. It helps you know how to prioritize your content for better results. Apart from that, it will also help you learn where to promote your content by discovering authors who link to your content and offering you suggestions and tips for link building opportunities. This kind of info will help you boost your SEO rankings. Ontolo offers useful reports and graphs so you can easily understand the information it finds. Ontolo’s pricing starts from $97/month and goes up to $297/month. Knowing your competitor’s keywords, ad clicks, impressions, and traffic are just a few of the things Adgooroo can do. This information will help you if your competitor has better positioning with your keywords. You can make use of this insight to cut through their lead. To get more traffic to your site, you can use the data provided by Adgooroo in identifying the high-value keywords which your competitors are using. 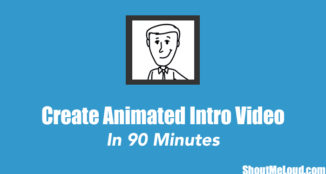 This will give you an edge in your marketing campaigns. 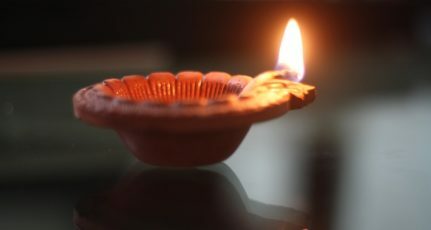 Adgooroo has not provided their pricing on their website, but you can contact them and request the price. Moat is an SAAS software that analyzes the efficiency of digital advertisements. Its principal focus is on brand advertising with the purpose of developing technologies that can measure the success of marketing campaigns and discover ways to perfect those campaigns. Moat introduces a relatively new and innovative service in the area of digital advertising, and it can be considered a search engine for display ads. According to Moat, they can measure real-time analytics over 19 billion times per day, and measure ad viewability in most social media platforms. Moat allows you to input your competitor’s brand and it will give you a report of the ads they recently posted. This information can help you decide on where to put your next ad. Visit their website and request a DEMO to learn more about them and their prices. 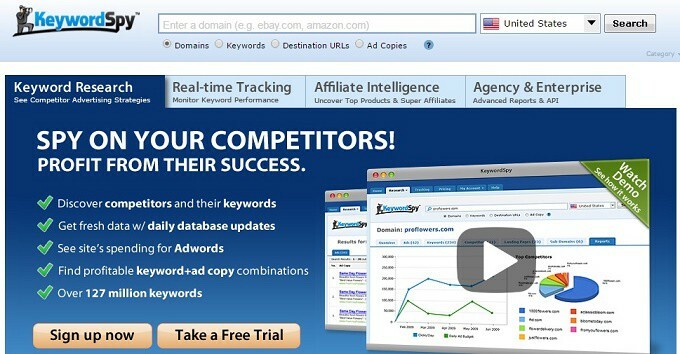 KeywordSpy lets you quickly “spy” on your competitor’s keywords. This tool has lots of amazing features; however, one of its features that I have found very helpful is the domain spy tool. Just type any domain name into the search box, select the radio button for “domains”, and you can get a handful of accurate data on who their competitors are, how much the site is spending on paid searches, what keywords they spend the most money on, and other really great things to know. With the lifetime free trial (with some limited capabilities), KeywordSpy helps you spy on your competitor’s keywords and ads and gives you a daily update in rankings. Their pricing starts from $89.95/month and goes up to $139.95/month. iSpionage is a newly-launched SEO tool that helps you efficiently perform competitive analysis and keyword management. It’s also equally helpful in the area of PPC campaign building. 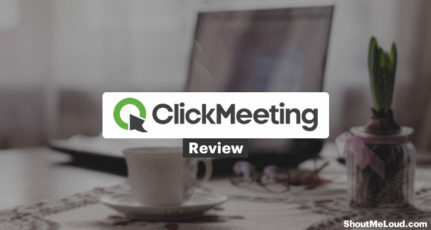 According to the owners, it has worked with over 35,000 PPC advertisers and agencies and uses its massive experience to deliver the best results. 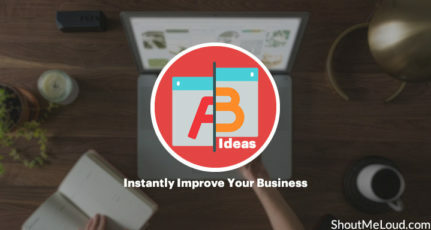 It is praised and featured on websites like searchenginejournal.com, kissmetrics.com, entrepreneur.com, etc. With their Competition Analysis, they show your competitor’s keywords and rankings which you can also use for your campaigns. It also has a Campaign Watch feature which allows you to check your competitor’s ad copy and landing page. The sweetest part is that you can fully monitor them without them knowing. Well, that’s what spying is all about! Their pricing starts from $29/month and goes up to $299/month. If you want to know about the digital marketing campaign, ads, or any changes on the website of your competitor, then you should register for a free 14-day trial at Kompyte. You will be alerted every time your competitor posts ads, puts up a new banner, or makes the slightest change in their website… and in real-time. Even changes that are not visible on their website can be monitored with Kompyte’s “hidden updates” feature. Their pricing is not yet stated, but you can request a DEMO here to learn more. SimilarWeb has a website analysis tool which helps you benchmark your website against your competitors in the market. Like any other spying site, SimilarWeb can see any website’s organic and paid keywords and help you to find trending keywords that give the most traffic. It also provides a list of websites that are frequently visited by consumers. To help you grow your business, the website provides information on various things — website referrals, searches, and even the inner trending pages can be searched. It can even monitor your competitor’s web page and generate a report on which of their products are most popular. SimilarWeb’s pricing starts at $199/month. 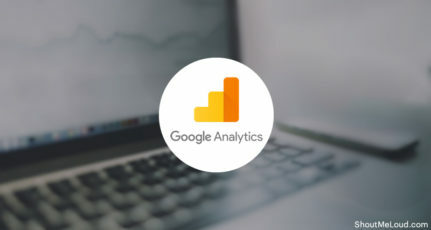 These insights are then saved in your online dashboard so that you can use them later to fully maximize your website’s performance and search engine rankings. Aside from that, Alexa also lets you dig up useful information, such as demographics and user locations to give you an understanding of your competitor’s traffic sources. Alexa also can also perform full site and content audits. Alexa offers a free 7-day trial. Alexa’s pricing starts from $9.99/month and goes up to $799/month. Ahrefs is one of those SEO tools every serious marketer should have. It has a very modern design and provides solid data analysis. You can check your daily rankings as well as your competitor’s daily rankings in real-time. Keywords which are used by your competitors are also shown in the analysis report. SpyFu is more useful to people that have a background understanding of SEO and their Google AdWords account. Starting at just $25 a month, SpyFu is one of the cheapest spying tools on the market. Like other spy tools, it secretly finds out all the keywords used by your competitor and identifies which one gives them the most traffic. In this way, you can improve your keyword research and outrank your competitors. Not only that, SpyFu can help you eliminate bad keywords from your website to ensure you have a top 50 spot. Every month, SpyFu will send you out a fully customizable report. SpyFu’s paid plans start from $25 and go up to $299/month. Monitoring websites like Yahoo, Google, AOL, and many other prominent sites, The Search Monitor tracks ads for ALL countries. It has a desktop and mobile app and creates custom reports and charts which a client can print and transfer for easy review. The Search Monitor also has a weekly crawling system that adjusts for random, frequent, and unexplained changes that the search engines often make on how they serve ads. What is great about The Search Monitor is that it monitors data from any country you want data from. Just recently, the website added a powerful tool, Seller Reach Report, which according to their website uses data collected worldwide from leading shopping sites such as Amazon, Google Shopping, PriceGrabber, eBay, and Shopzilla to calculate how sellers promote their manufacturers on the internet. Their pricing is not clearly stated on their website, but you can request a DEMO here. Majestic is a very handy SEO tool that basically specializes in one thing and does that one thing very well. 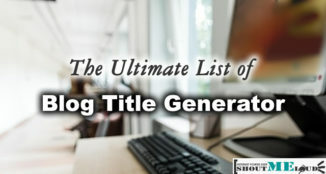 With this tool, you can download the backlink profile of your competitors and use that info to knock them off the road. Majestic will not give you information like monthly search volume, ranking info, keyword difficulty, on-page/technical SEO audits, content tool, or organic traffic data as seen in most other tools we mentioned here. However, if you’re serious about building quality links for your website, then this tool will help you a lot. Their pricing starts at $49.99/month and goes up to $399.99/month. Finding data from your competitor and spying on their every move always comes with a price. But of course, there are FREE WAYS to do this – you could follow them on Facebook, Instagram, Tumblr, and other social media platforms, and even subscribe to their email list to know about their latest promotions and updates. But that takes a lot of time and you’re limited as to what data you can get. Therefore, any one of these spying tools will allow you to monitor your competition more closely. If you want to remain in business, you have to start stalking your competitors now, monitor their every move, and find ways to outsmart them. If not, your name, your brand, your products, and your services will soon be a thing of the past. So now I want to hear from you: What tools do you use to keep track of your competition? Have you tried any of the ones on this list? What is a tip you can share with us to make spying more effective? Share your thoughts in the comments below! Harsh, Thomas Clark, I’m a big fan of your blog and the articles you write, thank you very much..